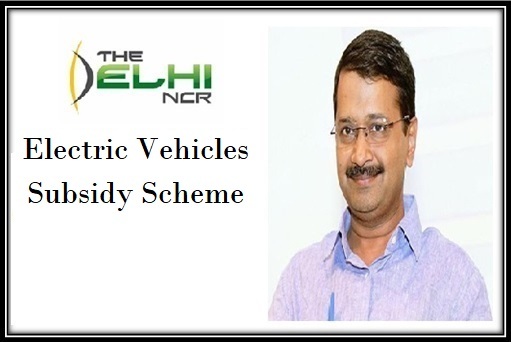 According to latest updates, the Government has announced the launch of the new scheme termed as Electric Vehicles Subsidy Scheme. Under the new scheme the state government will be providing people with subsidy policy in case anyone wants to sell off his traditional gasoline vehicle in exchange for New improved eco friendly Electric Vehicle. The process of transformation from Gasoline powered vehicles to E-Powered Vehicles has already been started by the state government. According to the latest updates the state government has already stated that it has introduced the FAME method of adoption (Faster Adoption and Manufacturing of Electric and Hybrid Automobiles). The entire scheme for implementation and manufacturing along with transition will be conducted by the Central Government. According to the central government notifications, it is already clear that the government wants to switch from the traditional fuel to making use of the Eco-Friendly and green fuel system of Electric Powered Vehicles. According to the government sources an incentive will be provided to the buyers by the government for helping improve the system of manufacturing as well as sales under FAME. The government also aims that with the implementation of the new scheme the people will be able to lead a much better life style. The central government is also aiming to introduce the electric powered vehicles within the public transportation system. According to the sources the central government will also try and revise the cost of electric power so it could be available for cheaper price. The sources have also made it very clear that to better implement the process of transition the central government should try and lower the cost of the e-vehicles. The central government has also stated that a financial assistance will be provided to all vehicle manufacturers in India and abroad to help manufacture the Original components that will be used in electric vehicles. With an aim to assure better implementation of the scheme the central government will also lower the road tax imposed along with setting up charging points for the vehicles at several places. With an aim to implement the initiative taken, the state transport company has also announced to replace 100 e-buses at present. In later stages that government is aiming to add another 1000 buses to their fleet without affecting the manufacturing of combustion based vehicles. The central government also aims at placing India on top rated companies globally for manufacturing Vehicle battery and Exports. This will be done on the basis of the demands of the new vehicles in the present market. The new introduced e-busses will be placed under the component and automobile sector. With the new implementation it is also expected that the Countries GDP (Gross Domestic Product) will increase from present 7.2 percent. It is also expected that with new set ups and establishments in e-Power component industry, more job opportunities will be created for more number of people within next few years. The central government shall be providing subsidy for both technical and financial help so e-buses can be made available. The central government aims at working in accordance with Heavy Industries and power sector along with Road transport Ministry for better implementation. All possible initiatives are been taken by the government for providing more jobs and exports within the country.